Nashville, Tenn. (Jun. 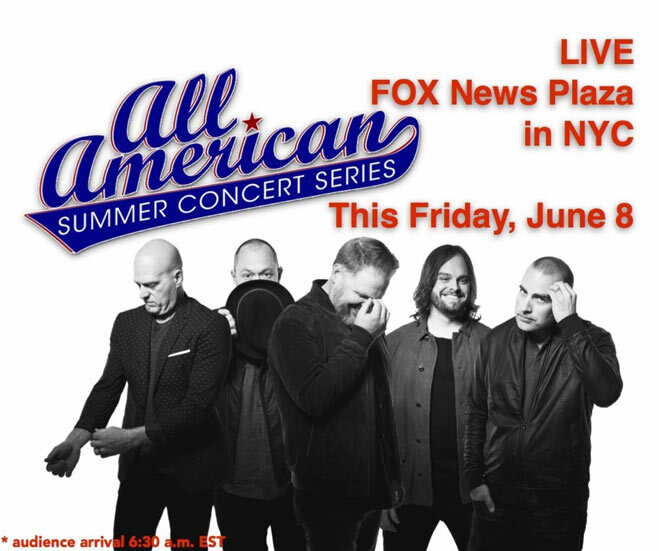 5, 2018) – Multi-platinum selling MercyMe will be center stage at Friday’s FOX & Friends' All-American Summer Concert Series. The morning show concert series will also host Lynyrd Skynyrd, Scotty McCreery, TobyMac and more throughout the season (for more information click here). The morning show appearance will align with the blu-ray and DVD release of the blockbuster movie I Can Only Imagine, which is available digitally today. MercyMe recently took home the Billboard Music Award for Top Christian Artist and four K-LOVE Fan Awards for Film Impact (for the box office smash I Can Only Imagine), Group or Duo of the Year, Song of the Year for "Even If" and Artist of the Year.